Build robotic machines and droids, inspired by designs made a long time ago in a galaxy far, far away. Motorized sand crawlers, Drones, Battle-Droids galore and more. In this fun and exciting hands on class students working in pairs will be using the Lego Star Wars Robotic Mindstorms Droid Developer kit, to build and experiment with up to 6 different battle class droids. Learn about robotics and engineering as we build the base models, then customize your droid. Students experiment with robotic motors and advanced light sensors to bring their projects to life! 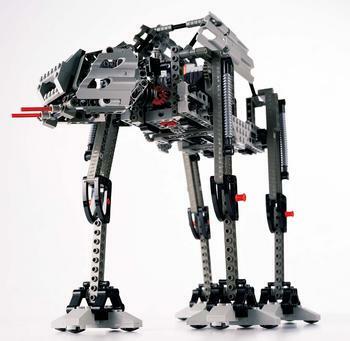 Possible models include the Super Battle Droid, Destroyer Droid, AT-AT, and a Stepper Droid Challenge.